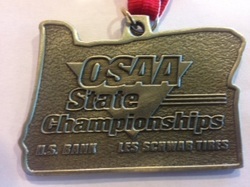 Speech Oregon is a resource for Coaches and Competitors of High School Forensics in the State of Oregon. It is the webpage of the Oregon High School Speech League Coaches Association. This webpage contains information and suggested links of websites dealing with Tournaments, Speech, Debate, and other items of interest to OHSSL-CA members. A Resource for those involved with forensics at the Middle School level. Tournament opportunities and contacts will be added as I receive them. GREAT VIDEO-"How to Behave At a Speech and Debate Tournament"
Another Great Video-"How to Dress at a Speech and Debate Tournament"